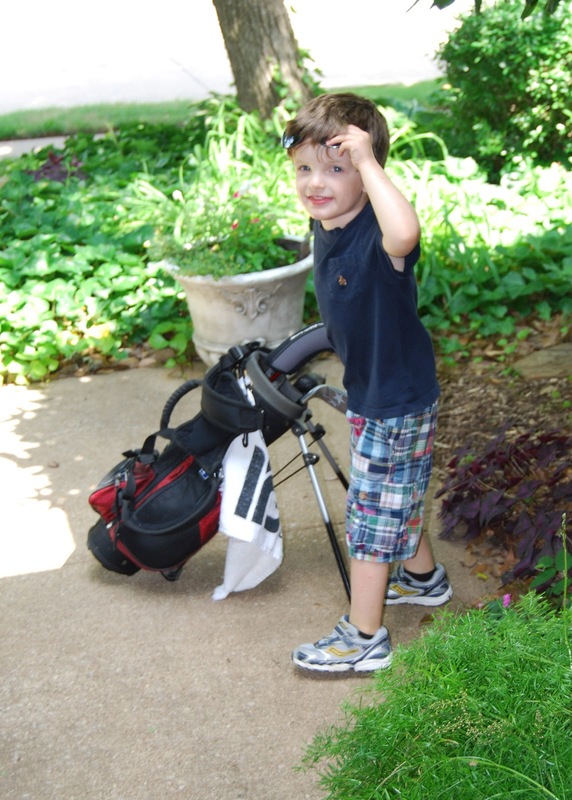 Last Sunday Haha called and asked if Luke could come out and play. 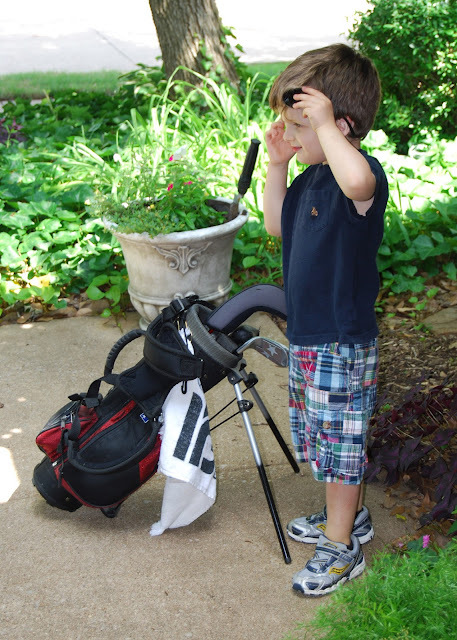 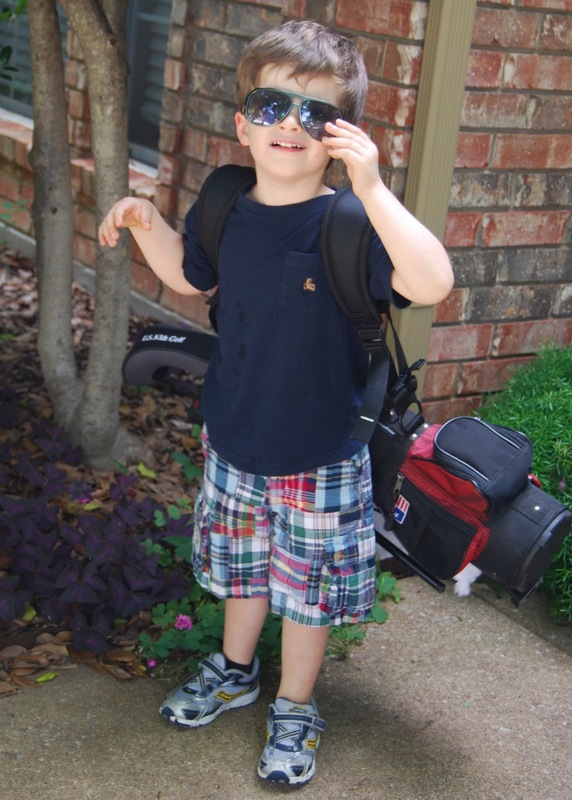 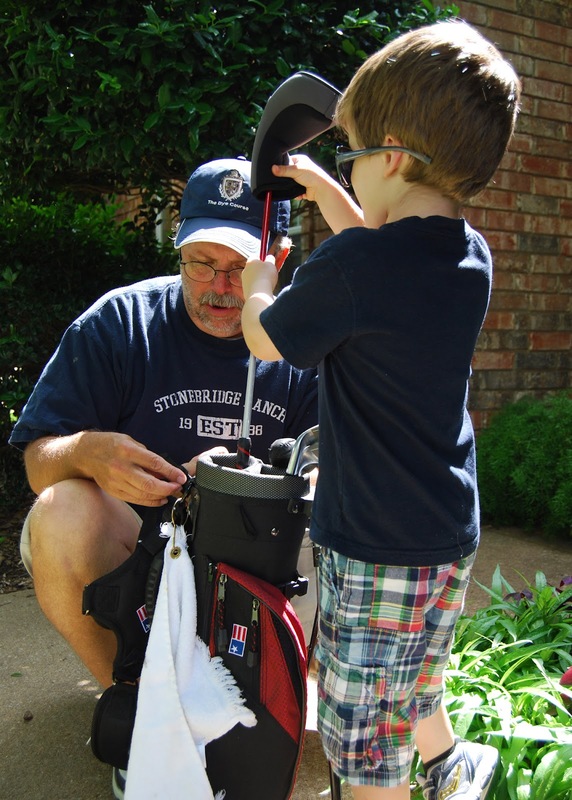 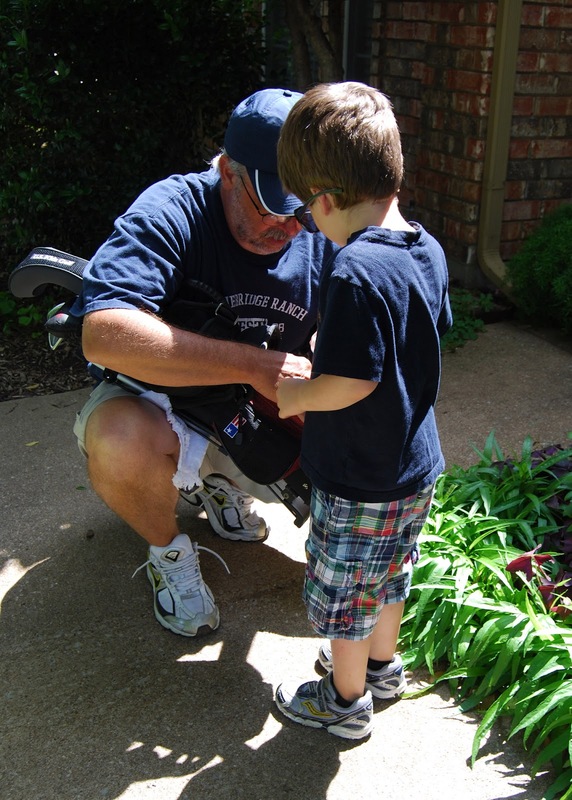 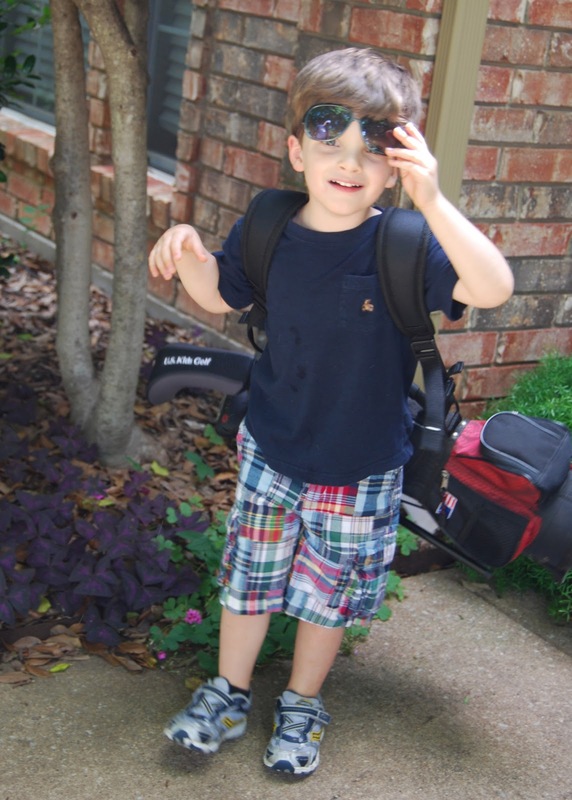 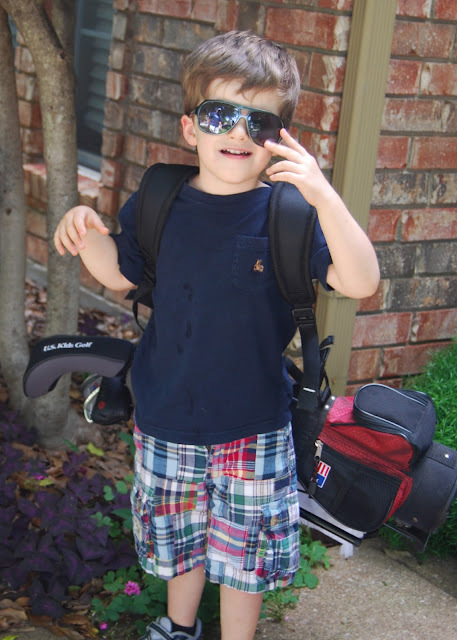 When Luke opened the door he saw NEW GOLF CLUBS JUST FOR HIM!!! 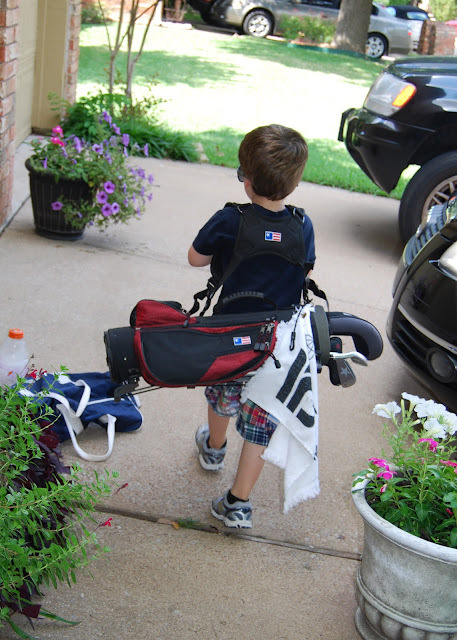 Haha had filled the bag with golf balls, tees and even a golf towel.